cocking her tail and drooping her wings as CSWA's like to do. 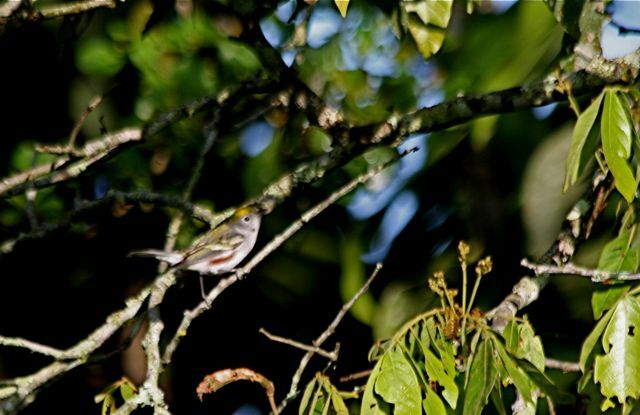 white-eyed vireos, and the omnipresent black-throated green warblers who got all up in my face and said howdy. 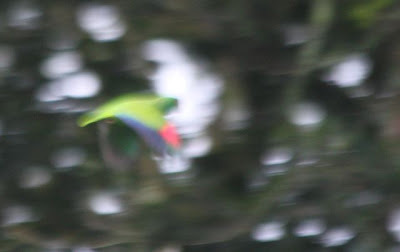 The toucan is not the only acrobatic bird around here. I can hang upside down. And I will, until you tell all your coffee-drinking friends (that's, like everybody I know) to spring for shade-grown, bird-friendly coffee. You can buy Birds and Beans coffee here. 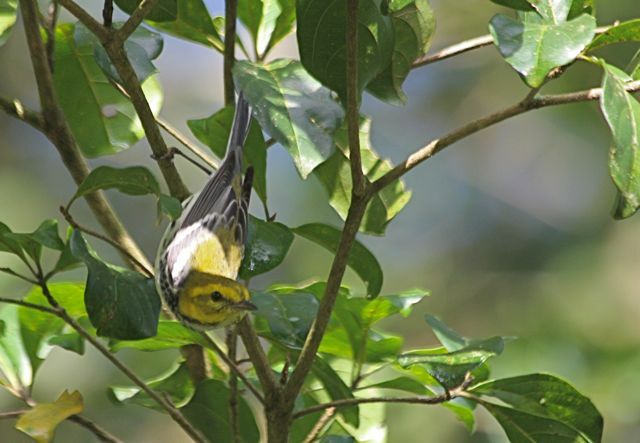 It's certified as Bird Friendly by the Smithsonian Migratory Bird Center, and it's 100% organic. And I don't get a cut...I'm a believer, and I hope these photos will make you one, too. 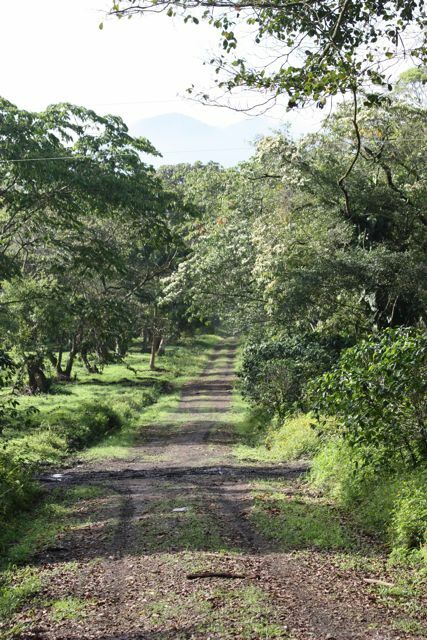 From the looks of these leaves, I'm thinking there wasn't much spraying going on in the Finca Las Glorias plantations. 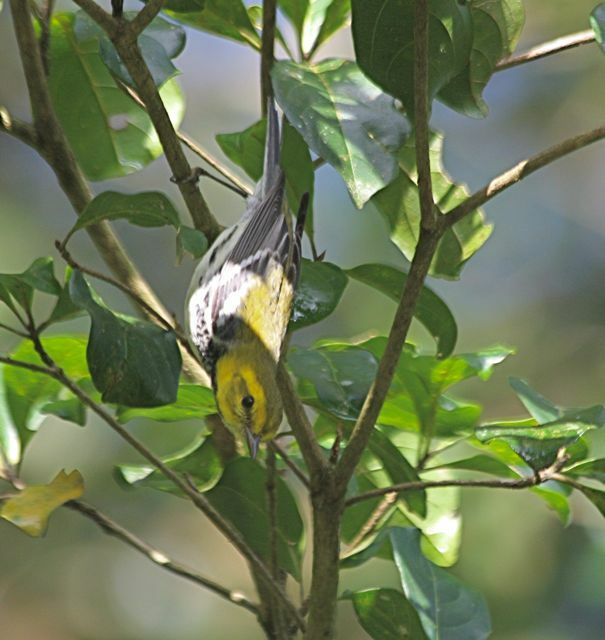 Did you know that warblers key into insect damage when they're foraging? It's like following the tracks of their prey. Parrots in flight, like these white-fronted Amazons, are really hard to photograph. But I like what I got--it evokes the screaming and the bullet-like exit. 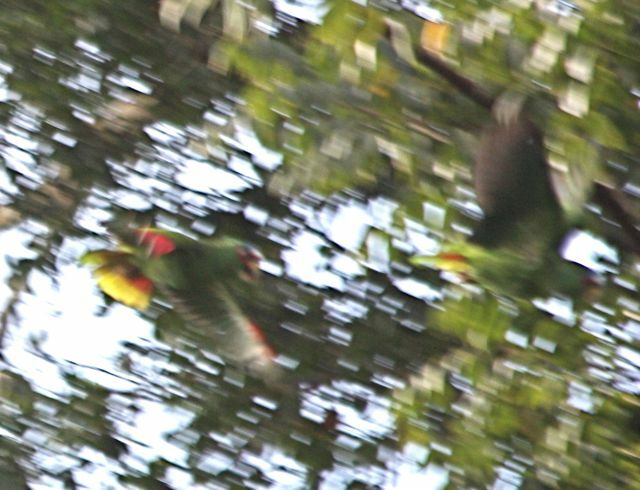 Perhaps they've had the same welcome as the toucans in this plantation. To my surprise, the plantation workers were chopping off perfectly good looking coffee plants to just this high, a few inches off the ground. 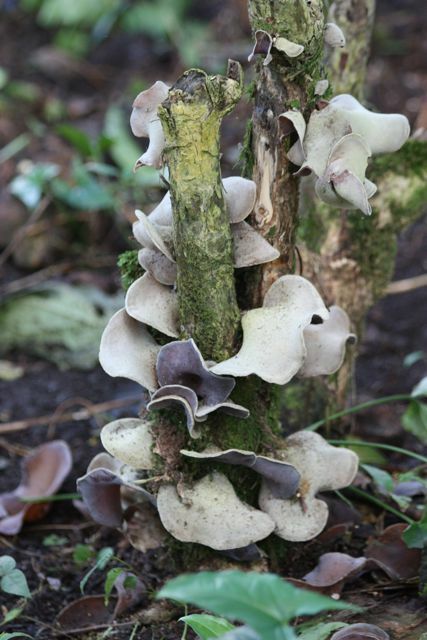 This one didn't survive the chopping and was growing some terrific looking lavender shelf fungi. But most of the rest did. The reason they chop the shrubs almost to the ground is that when they get too tall, the workers can't reach the beans to pick them, so they have to keep hacking the plant back so it makes new growth that's nice and short. Then they throw the shrubs in the rows between the hacked-off stumps, essentially mulching the plants with their own corpses. An exquisite clear-winged butterfly, sort of a fly-meets butterfly effect. Woweee. 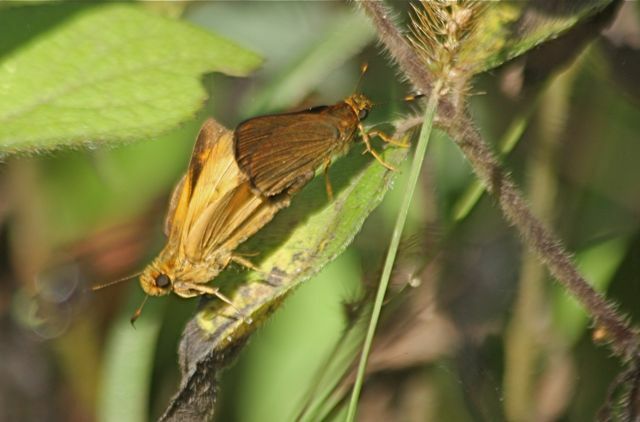 And some mating skippers, I know not which kind, but there's substantial sexual dimorphism between them. I kept hearing the most amazing whooshing sound, like fighter jets, so I moved out into the open to see what it was. 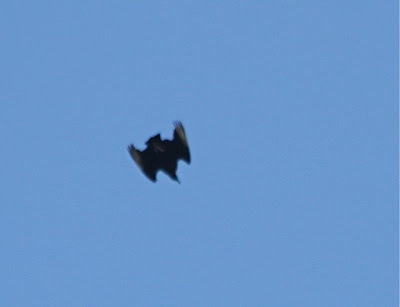 It was black vultures! They were riding a thermal way up high, and when they got high enough they'd half-fold their wings and come whooshing down like storm troopers, one after another. It looked like such fun! I wish I had a recording of the sound. Birds play, too. 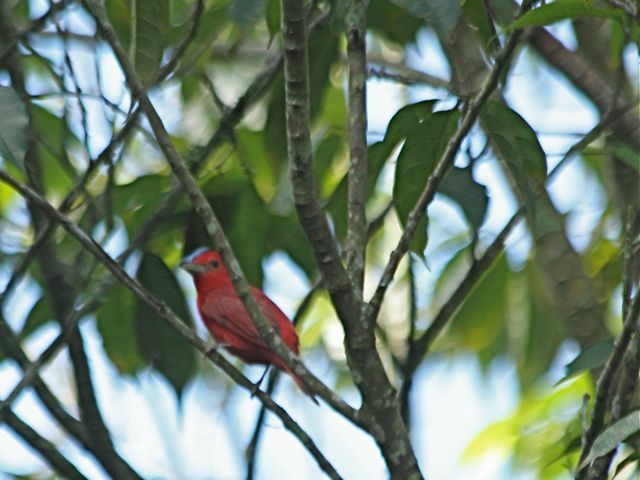 A summer tanager bid me goodbye after a wonderful day in the shade coffee plantations. With the pleasant highland weather, the dappled sun and the abundance of birds, I was thrilled to be there, alone, soaking it all in. Buy bird-friendly shade-grown coffee. Better yet, go to Honduras and see where it comes from. 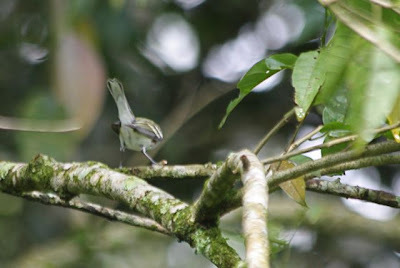 And tell the black-throated greens you heard it from me. 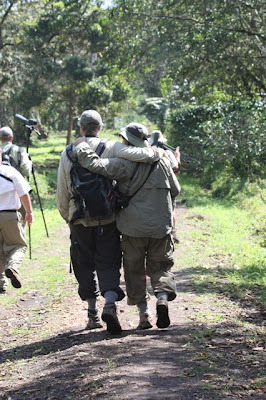 Colene and Bill McKee share a moment in a paradise for birdwatchers. 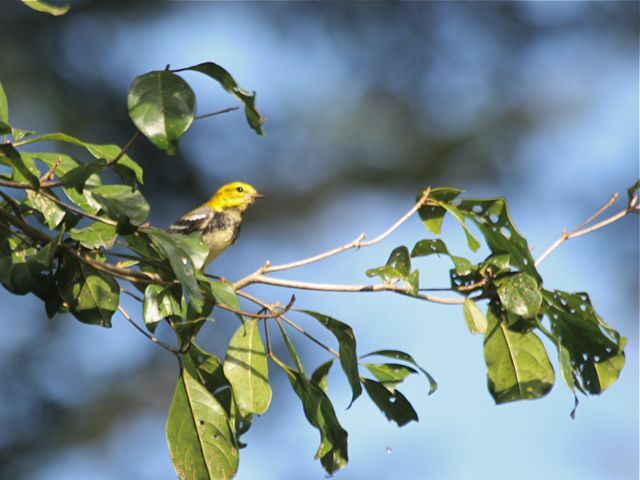 Want to find certified bird-friendly coffee for sale near you? 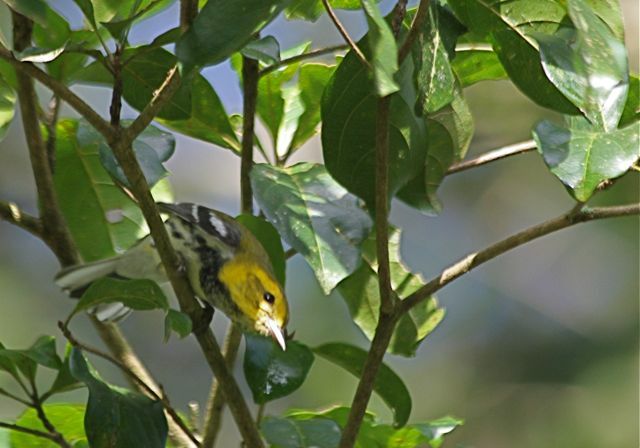 Follow this link to the Smithsonian Migratory Bird Center's map of US retailers. Wow! Great pictures. 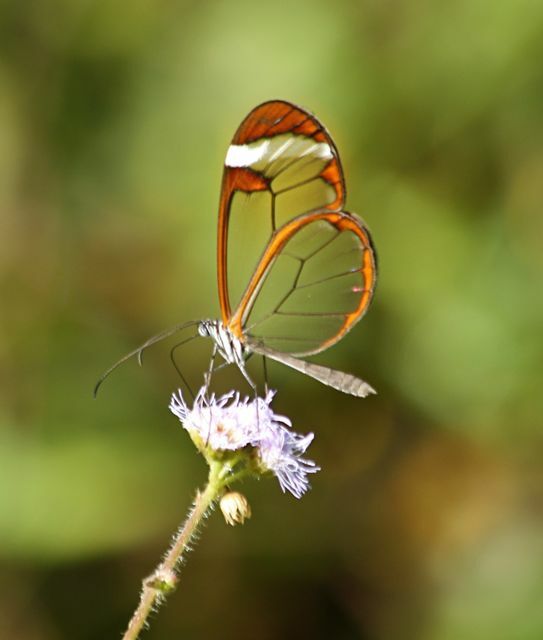 The clear winged butterfly is amazing. And actually I'll be looking for shade grown coffee now -- didn't really know what it was before I read this. What a wonderful Easter Sunday post. The clear-winged butterfly is new to me... and absolutely magical! And, I will remind my coffee-drinking friends about choosing shade grown! Thanks again for all the year-round moments of beauty, humor, poignancy, and even call-to-arms that you express in your blog. Thank you for the excellent reminder about bird-friendly coffee! Last fall I went to a talk on the subject, hosted by our local Audubon chapter. One of the gentlemen was from the Smithsonian, and the other was a farmer in Honduras. It was sobering, but extremely enlightening. Your photos of familiar birds in unfamiliar settings really drives the point home! I'm working on drinking less coffee because I just can't afford the bird-friendly stuff in the same quantity :) The price is well worth it, of course! Is the second parrot photo of the white-fronted Amazons as well? Gorgeous critters! I agree that bird friendly coffee is good and worth the money. 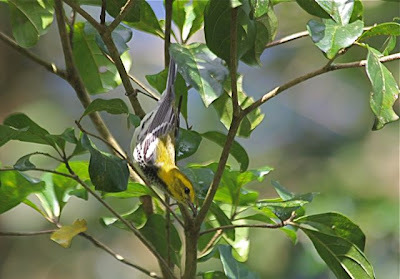 If you are going to promote the Smithsonian certification and you are not part of Birds and Beans, why not do the research and provide links to all brands they certify. I know there is one in West Chester, PA (Golden Valley Farms) and there are probably others. It doesn't seem fair to mention only one. Good point. I found a map of US retailers of SMBC's Certified Bird-friendly Coffee, and linked to it at the bottom of all three posts. Gorgeous photos! Love the fantastic clear winged butterfly and cool fungi. You've brought the bird-friendliness of those coffee bushes to life for us. Yay what a great post to promote bird-friendly coffee!!! Great pictures of what looks like a great trip. It looks as though the image that you have labeled as an imm. 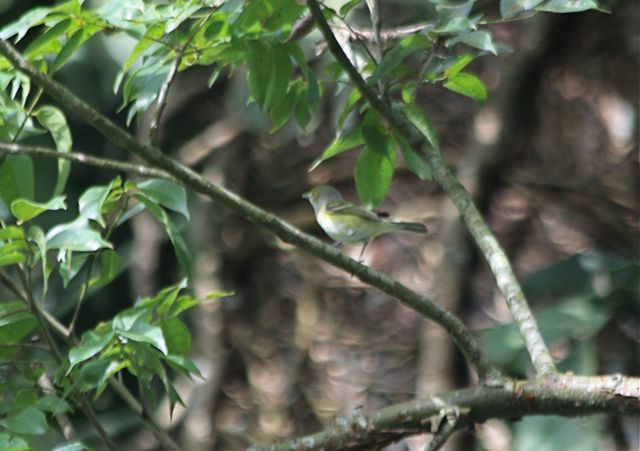 American Redstart might actually be a white-eyed vireo. Note the yellow wash on the sides with yellowish wing bars. Redstarts never have wing bars. Hope that this helps. For sure, and right you are, Edward. You'll note "white eyed vireo" is right beneath the photo, but the way I've worded it does look like I thought that was an AMRE. No, just clumsy captioning and carelessness. Yellow's all wrong, too lemony for any redstart, and as you note, you'll never see a wingbar on an American redstart. Thanks!